New Release and a FREE Book! 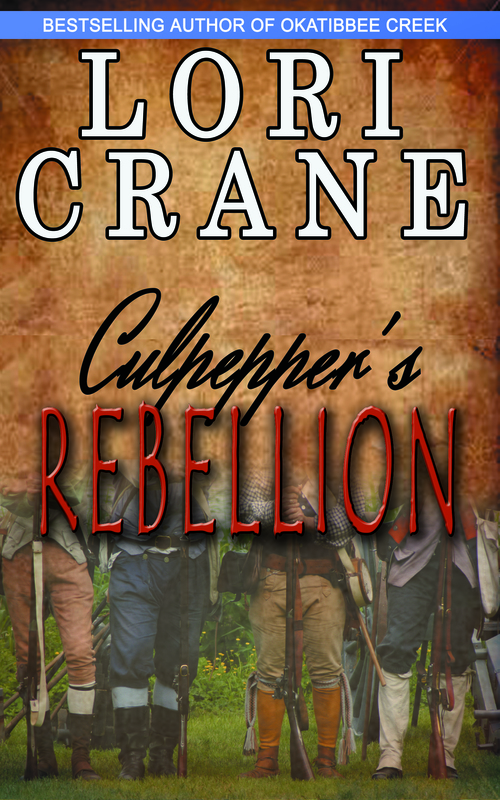 The fourth book in the Culpepper Saga – Culpepper’s Rebellion – is here!!!! You can pick it up at Amazon by clicking HERE. 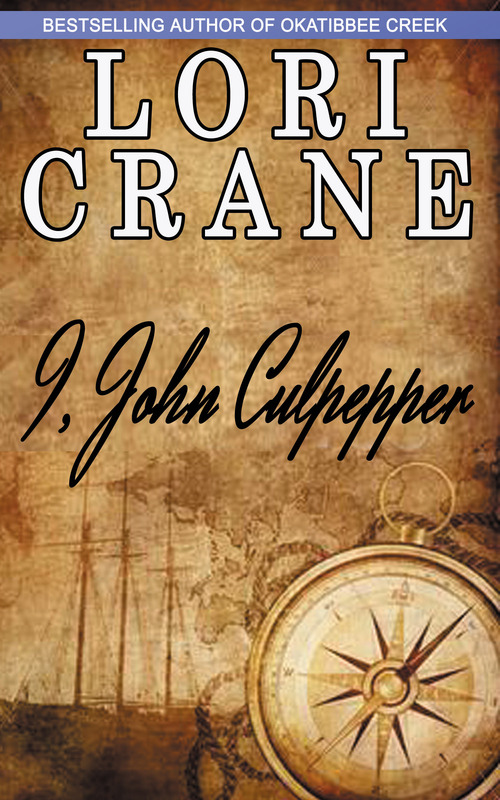 If you haven’t yet read any of the Culpepper Saga, you can pick up the first book – I, John Culpepper – for FREE through November 4th by clicking HERE. 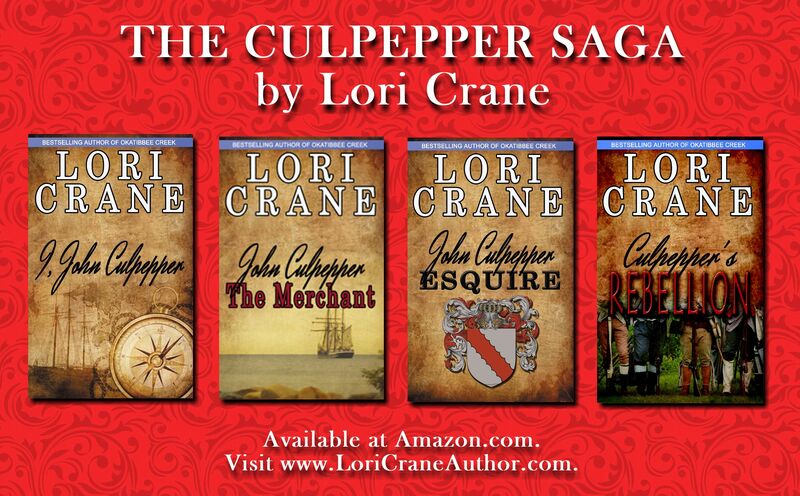 The four books are the continuing story of the life of John Culpepper, the patriarch of the modern-day American Culpeppers, from his birth in 1606 in England to the end of his life in 1680 in Colonial Virginia. Check out the book blurbs below. 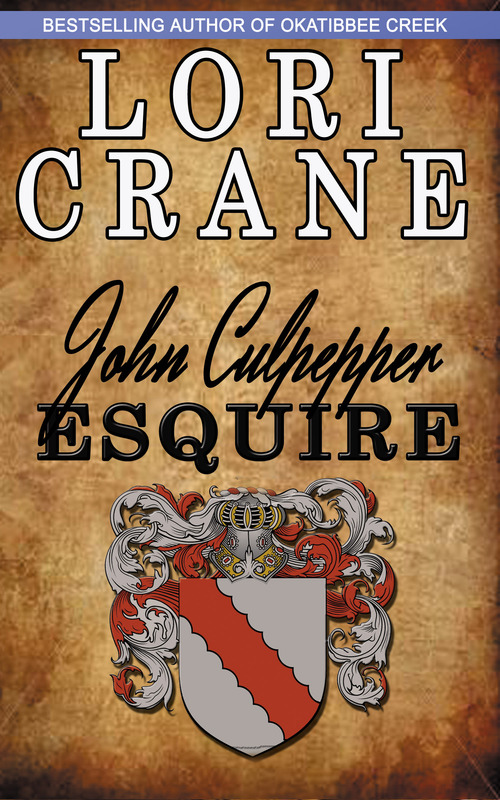 John Culpepper was born into a privileged childhood, surrounded by abundant wealth, vast land holdings, and stately English manors. As he grew, he was expected to follow family tradition—attend law school and serve in Parliament, following which he would retire to a quiet life as a country gentleman. John, however, had different desires. He longed to captain a mighty ship, to hear the snap of the sails, to taste the salty spray on his lips. To follow his dreams, John would have to risk being disinherited by his unyielding father. He would have to defy family convention. He would ultimately be forced to choose between the woman he loved and his mistress—the sea. For hundreds of years, the Culpepper family backed the monarchy, but when King Charles disbanded Parliament, married a Catholic princess, and appointed an archbishop who was a Catholic supporter, the royalist Culpeppers found themselves at odds with their friends and neighbors. Years earlier, against his family’s wishes, John had purchased a merchant ship, sailed to Virginia, and spent most of his time there. While on American soil, he received word of the uprisings that followed the king’s actions. When civil war began, John feared for the safety of his family in England. He was horrified when the king was captured, convicted of high treason, and beheaded. Would John’s family be next? The only way to rescue them would be with his ship, under the cloak of darkness. Would he succeed, or would they all be caught and tried as traitors? 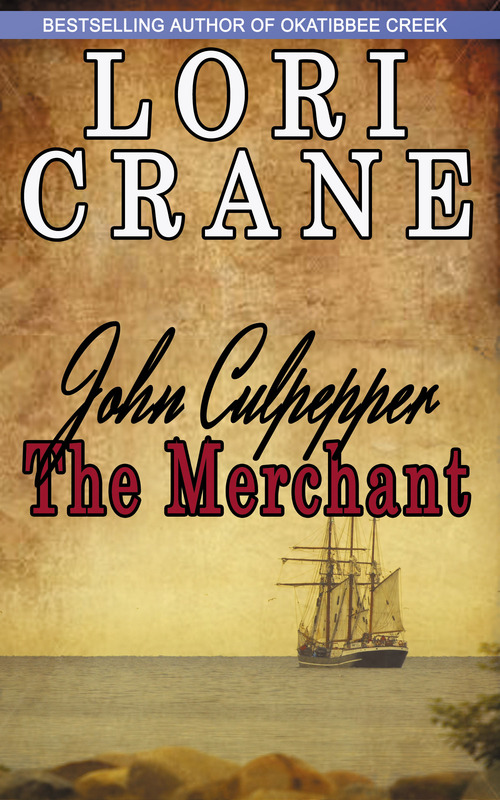 John Culpepper was a prominent figure in colonial Virginia, a merchant in Jamestown for two decades and a resident since the disastrous civil war that shook England to its core. The Culpepper family, decimated by the war, had known great defeat, but none as heartbreaking as the tragic event that abruptly left John in the position of family patriarch. He struggled with this newly acquired role, marrying off his nieces to eligible colonialists, sending some of the boys back to England, purchasing a ship for his sons against their mother’s wishes. Upon the collapse of the English Commonwealth, members of John’s family escorted the exiled prince back to London to be crowned as King Charles II. Would the Culpepper family finally reclaim the power and prestige it had once possessed? And how would John hold his family together on two continents? John Culpepper thought he had done right by his family when he married off his niece to his childhood friend, Sir William Berkeley, the governor of Virginia. When his cousin Nathaniel Bacon appeared and began an uprising against Berkeley, John was caught in the middle. He did everything in his power to advise his friend, protect his niece, and honor the crown. He was unaware that during Bacon’s rebellion, his own son was planning a rebellion in Carolina. John had spent most of his life defying his father and the status quo, but when his son was arrested and charged with treason, he was forced to examine every idea he held about his life and his past. The legal training John had rebelled against in his youth would now be the only thing standing between his son’s life and death. 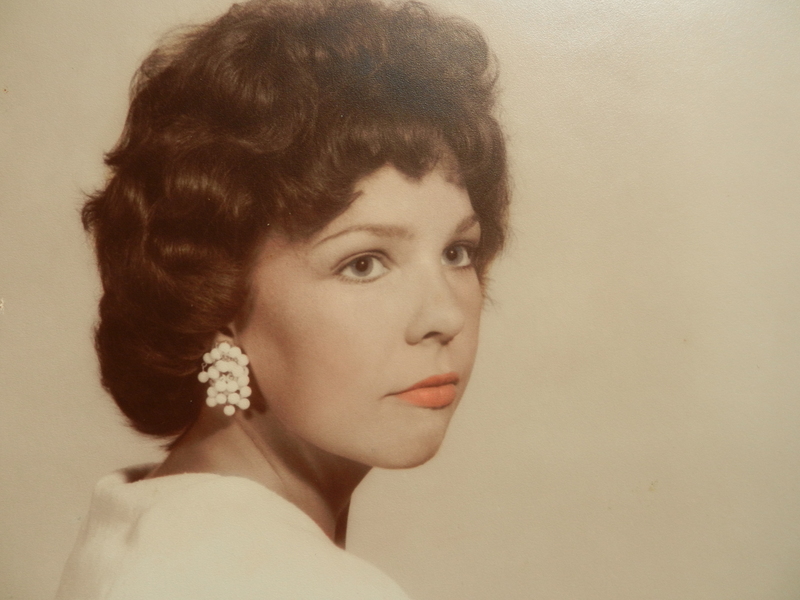 This beautiful woman was my mother. She was born in 1944 in Meridian, Mississippi to Earl Culpepper and Ina Inez Burke (Ancestor #7). She had only one sister and no brothers. She married my daddy (Ancestor #22) on August 15, 1960 when she was only 15 years old (the same age she was in this photograph). She said her father tried to discourage her from marrying at such a young age, but the woman I knew was always rebellious. When I was a baby, we moved to Tennessee for a while, but by 1966, the marriage was over, and we moved back to Mississippi and lived with her parents. While she was a young working mother, she had a woman babysit me and eventually met his son. They married and we moved to Michigan. She went to school to become a nurse and worked for thirteen years in the cardiac unit of the local hospital. The morning of November 17, 2000, she fell from the second floor balcony of her home when the railing broke. She suffered greatly from seven broken ribs, three broken vertebrae, a ruptured spleen, and a broken arm. After months of fighting, her body gave up and she died July 11, 2001. She is buried at Resurrection Cemetery in Clinton Township, MI in the Angel Mausoleum. Rest in peace, momma. I miss you every day. 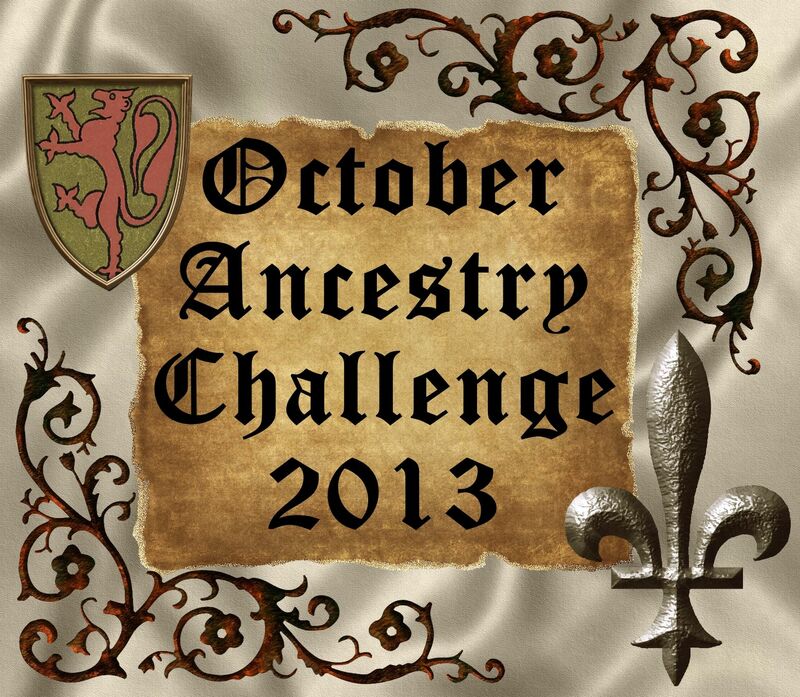 The October Ancestry Challenge 2013 is 23 posts in 23 days (Monday through Friday) about 23 ancestors. It’s still not to late to join us. Come on, you can catch up. 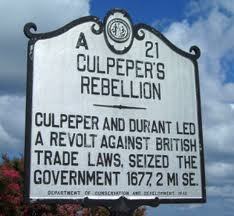 Culpeper’s Rebellion took place in 1677 in Albemarle County, Province of Carolina—which later became North Carolina. Long story short, the people were fed up with the government and fought back—a story we’ve heard a hundred times. This story, however, is different because John Culpeper, the leader of the rebellion, was my uncle. He was brothers with my 9th great grandfather Henry, sons of my 10th great grandfather John Culpepper the Merchant, who was the subject of my Ancestor #2 blog. The government of the Carolina colony, set up by His Royal Highness King James I and ruled in 1677 by His Royal Highness King Charles I, consisted of eight Lords Proprietors, the head being deputy governor Thomas Miller, who was also the tax collector. The people were increasingly unhappy with Mr. Miller as they had been taxed nearly to death, and he was severely limiting their freedoms. The final straw came when England passed an act regulating and taxing the shipping of goods to and from the colonies. It sounds like we’re leading up to the Boston Tea Party, but not yet. That didn’t happen until 1773—almost 100 years later. Maybe the people who currently tax us should take a look at history and see the results. Anyway, young whippersnappers John Culpeper and George Durant, captured and imprisoned Thomas Miller and the members of his cabinet and held them in prison for two years while John stepped in and acted as governor. Fortunately King Charles was too busy partaking in pleasures to worry about those disorderly colonies, so they were free to convene their own legislature and exercise all powers and duties of their own government. No one cared much about the governing of the colonies, but when the Crown heard rumors that John was acting as tax collector/treasurer and was handing the money inappropriately, he was summoned to England to plead his case. One shouldn’t embezzle from the Crown. When he arrived, he was arrested for treason and embezzlement. He was put to trial, but he was found not guilty as he was acting under the orders of a properly elected assembly …namely his own cabinet. huh? It probably didn’t hurt that daddy was a lawyer and highly esteemed in the colonies. Culpeper’s Rebellion was a step towards American independence, fanning the flames that would 100 years later become the Revolutionary War.